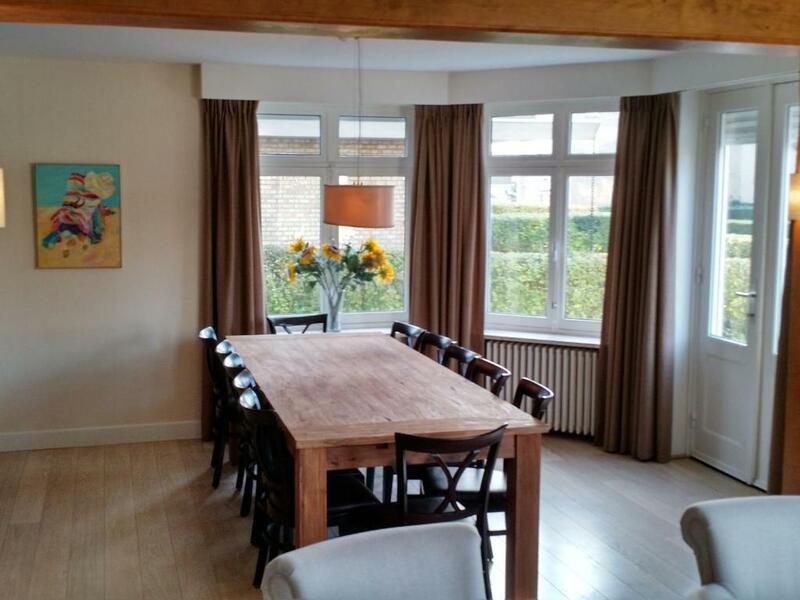 Situated in Knokke-Heist, 1.4 miles from Knokke Casino and 3.1 miles from For Freedom Museum, Villa Schelp en Strand provides accommodation with amenities such as free WiFi and a TV. This villa provides a garden as well as a terrace. The villa includes a kitchen with a dishwasher and an oven, as well as a coffee machine. The accommodation also provides guests with 2 bathrooms with a shower and a washing machine. AZ Zeno Campus Knokke-Heist is 3.1 miles from the villa. The nearest airport is Ostend - Bruges International Airport, 23 miles from the property. Villa Schelp en Strand has been welcoming Booking.com guests since 13 Jun 2016. When would you like to stay at Villa Schelp en Strand? This villa has a CD player, seating area and washing machine. House rules Villa Schelp en Strand takes special requests - add in the next step! Villa Schelp en Strand accepts these cards and reserves the right to temporarily hold an amount prior to arrival. We need at least 5 reviews before we can calculate a review score. If you book and review your stay, you can help Villa Schelp en Strand meet this goal.